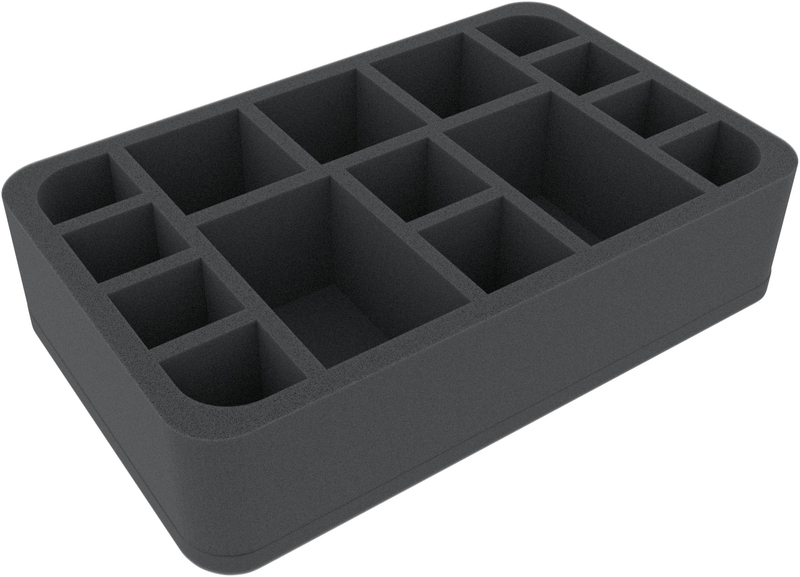 This Half-Size foam tray can safely hold up to 15 warriors of the XV. Legion. 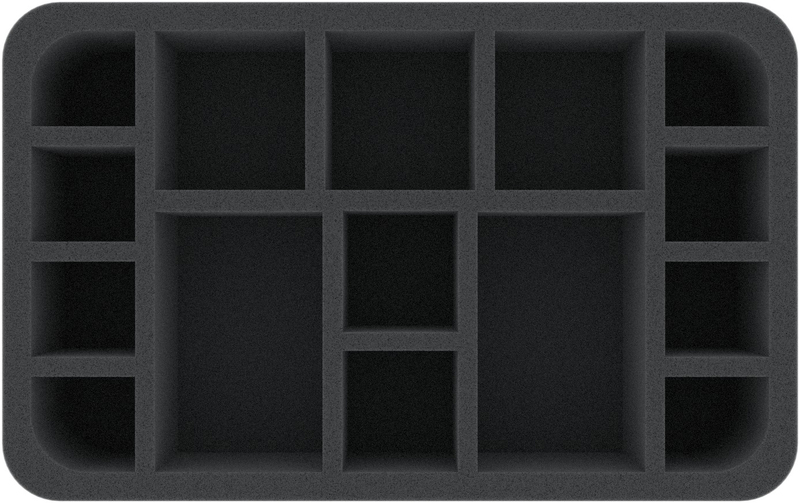 The different sized compartments are suitable for standard warrior models as well as for larger models of the Thousand Sons. 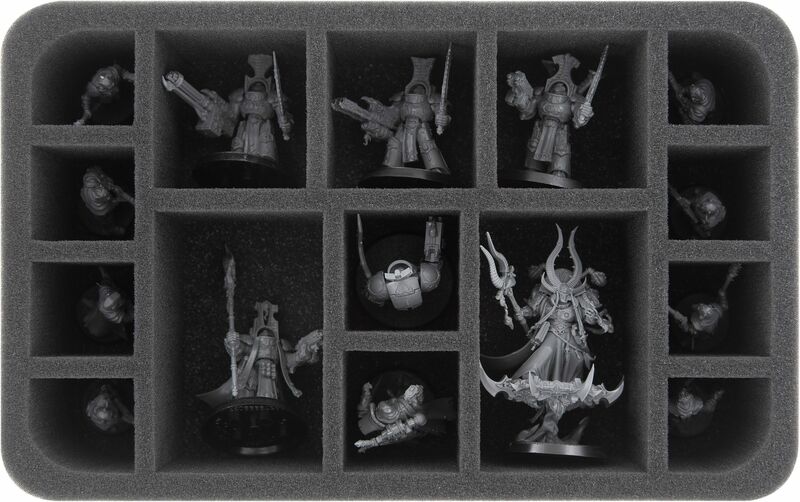 The small compartments are ideal for Chaos Cultists, the medium-sized compartments for Scarab Occult Terminators or Rubric Marines, and in the large compartments there is room for character models like the Chaos Sorcerer Ahriman.